It looks like Civil War is expanding beyond the production set and into the board room, as Marvel and Sony can’t agree on their next Spider-Man actor. Jeff Sneider, a correspondant on The Wrap, has revealed this news, and that front runner Asa Butterfield is out of the running. The selection is now down to just three actors. Apparently Marvel is loving Charlie Plummer (Boardwalk Empire), while Sony is sold on Tom Holland (The Impossible). Matthew Lintz (Pixels) is also still in the running, but the studios are very convinced in their own favorites. So what does this mean? Well for one, Spidey’s scheduled scenes might have to be moved to July, instead of this month. Not a big deal. However, someone from either side is going to have to budge, but who? Sony has done a fine job casting the right Spider-Man in the past with Tobey Maguire and Andrew Garfield. Marvel has made some excellent castings of their own. 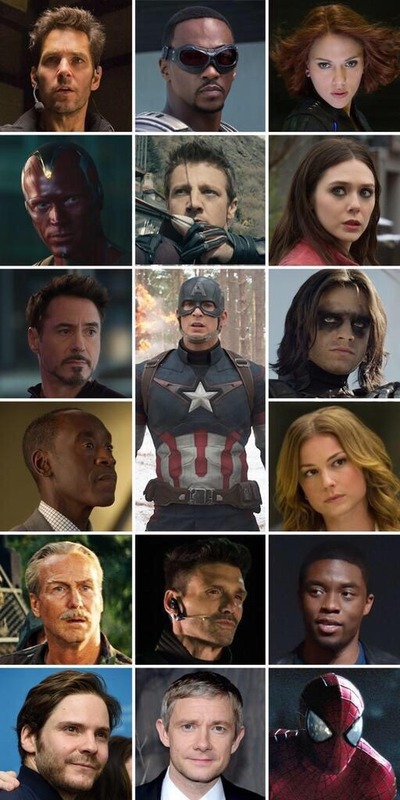 There is not one major character from The Avengers which I didn’t love the casting, especially now. Long time Marvel writer, Brian Michael Bendis during a special appearance at the panel for Special Edition: NYC. When asked about the 2005 launch of New Avengers and how some writers believed during the drafting that Spidey would not be a member of the Avengers.